scrappin it: See you at CHA Blog Hop! Win $650 gift card! See you at CHA Blog Hop! Win $650 gift card! Are you ready for the biggest, most epic blog hop ever? Nearly 60 CHA members from around the world are coming together to help us celebrate the CHA MEGA Show 75th anniversary for a whole week until December 11. Each blogger highlights something special about the upcoming CHA MEGA Conference and Trade Show. 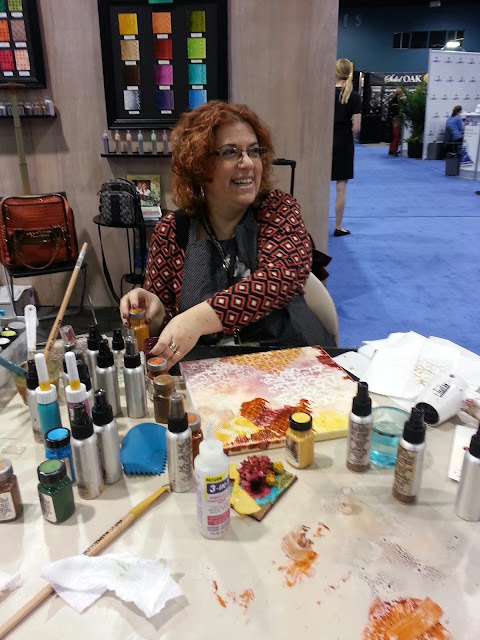 Sneak peek of new products, details about workshops and make-n-takes, an inspiring project tutorial, or what they are most excited about doing and seeing at the Show. You'll want to hop with all of us because you have a chance to win $650 Visa gift card! You can find the complete hop list here. I want to share with you my story of how I became a designer member and how I went to my first show. Should I really work here? "I went to this big show..."
When I got there it turned out the training was all about using new supplies that supplier ordered in a big trade show. Our instructor said: "I went to this big show in Las-Vegas and it was amazing! An entire show all about craft and hobby" This sounded like music to my ears. I tried to get some details from her but she didn't remember the name of the show but she did remember that the organization was called Crafts and Hobby Association. That was enough for me to start investigating the issue. I found the CHA website and decided to apply to become a designer member. 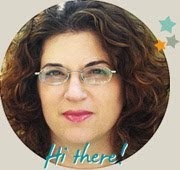 Little me, a designer from Israel, where there are hardly any designers, let alone members in CHA. I was accepted as a Designer Member and started to make plans to go to the show. I bought my ticket, booked my hotel and flew halfway across the world without any idea what was waiting for me there. I was by myself, an inexperienced designer, attending her first professional trade show in the big world...I was in shock! This was back in the days when the show was huge from wall to wall in the convention center and there were so many companies. I went from booth to booth, did every make and take, did so many workshops and went to all the events. I felt like a kid in a candy store. For me it was like being in Disneyland!! The high was unbelievable! Since then I try to go to the show every year and it's still feels like Disneyland. Now of course I'm in a different place I have goals for the show, I demo, teach classes and participating in the Designer Showcase. I love seeing all my designer friends and meeting new people. It's the only place where people are like me and I'm not considered a crazy artist Lol! To wrap things up...staying in a job I wasn't so happy about, led me to one of the most important discoveries in my designer career. Because finding out about the show led me to becoming a designer member, which opened the way for me to work as a designer! Now tell me that this is not amazing! So...it's that time of year again! Time to get ready for another CHA show. I can feel the butterflies in my stomach and the excitement building and I can't wait to go! You have plenty of chances to enter to win $500 Visa gift card each day of the hop, on any of the participating blogs You can find the complete hop list here.. Everyone is eligible to win, whether you’re in the U.S. or international. 1. Leave a comment (mandatory) answering the question - "What is your favorite "can't live without" craft supply or tool?" So hop with us and you might just win!! 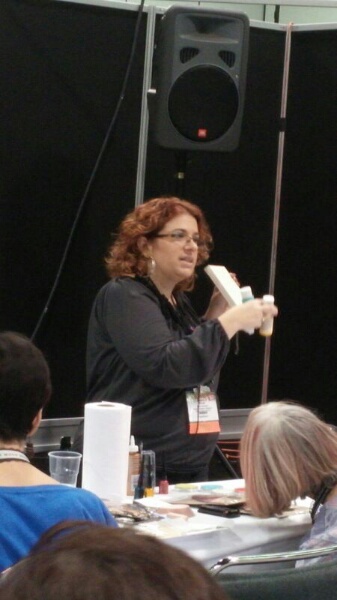 I always look forward to hearing about the CHA show and watch for new ideas to add to my crafty toolbox. Einat, I loved reading your story about how you got to the point you are today. And, yes, God does work in mysterious ways. I'm a paper crafter who cannot live without my die-cutting machine! I use it every day as I craft. Actually, I'm so addicted to crafting that it is the first thing I do every day! I am excited about the CHA blog hop and have encouraged others to participate through my tweets at https://twitter.com/guneauxdesigns. Again, TFS! A tool I can't live without is my Quick Stik. I pick everything up with it...I'd be lost without it. Loving this hop! I cannot go without adhesive - liquid, dots, runners, etc. I can't do anything without them! I know...we all have so many types of glue. Great to hear your story Einat. See you at CHA. I totally agree. The show is like Disneyland - my Happiest Place on Earth. I would feel the same way if I ever attended the show!!! Sheer Heaven!! CHA is so exciting. I understand completely how you felt. I can't live without my Fiskars Fingertip Craft Knife. I can't live without my magnifying light. Helps to see when cutting intricate designs. Have fun at the show!! Wish I could go! My can't live without craft supply is stamps and ink. Everyone seems to be asking this .... If I must pick just one it will have to be scissors . . .
Who can go to the CHA show? Sounds like heaven! What an inspiring story! Can't wait to see you in January! 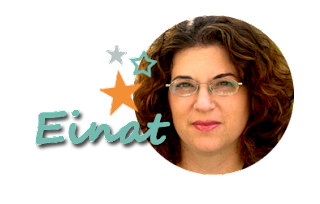 Such a great story Einat about your journey to where you are today. God does work in mysterious ways. I can't live without my Tonic paper trimmer. I can't cut straight for the life of me so without that I couldn't craft EVERY DAY! My Creative Memories paper trimmer... 20 years old and still working. Thanks for the giveaway. I can't live without my Xacto knife, pencil, metal rulers, paper/cardstock and bonefolder. I'm Old School(before die cutting), so if something needed to be measured, scored and cut, I had to do it myself. My favorite craft supply is, of course, paper and DIES! Love all the new ones coming out! Can't wait.